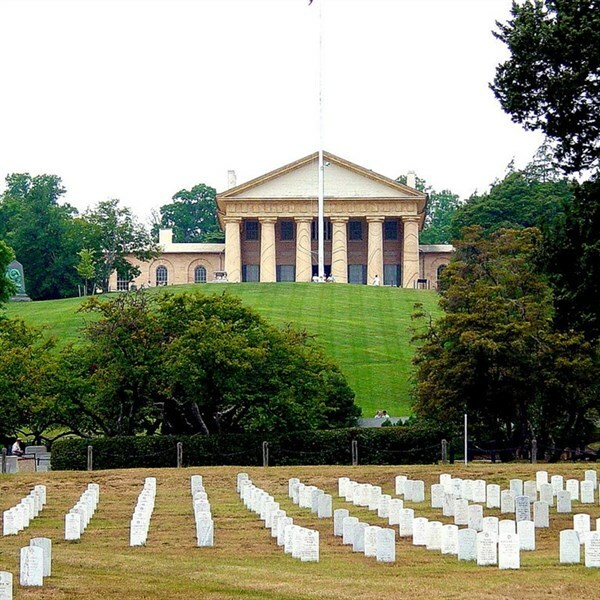 Today we travel to the wooded hills and hallowed grounds of Arlington National Cemetery. Our public tram tour of the cemetery will highlight our nations history and remember the American patriots, both humble and well-known, whose final resting place is at this sacred space. 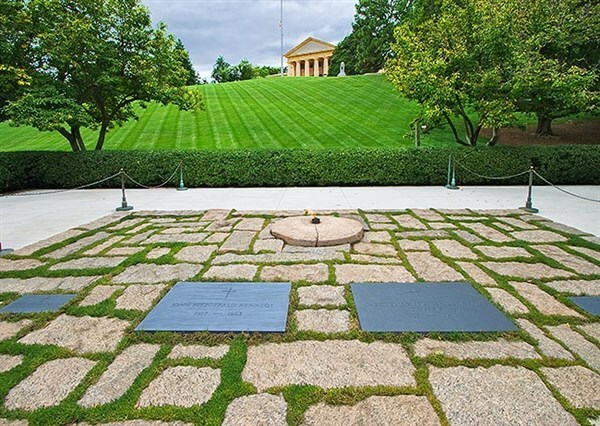 Your narrator will relate accounts of heroism and personal sacrifice as you ride to important sites, including the Kennedy Grave sites and the Tomb of the Unknowns (Changing of the Guard every 30-minutes). Next, we make the short drive to Gadsbys Tavern Restaurant in Old Town Alexandria, Virginia for our delicious lunch. A U.S. National Historic Landmark, Gadsbys Tavern Restaurant has been offering fine dining since 1770. Please provide a meal choice when making your reservations. Your choices are Roast Beef, Chicken Fontina, Chesapeake Crab Cake or Butternut Squash Ravioli. Following lunch, we meet our guide for a tour of Gadsbys Tavern Museum. Take a moment to journey back to the 18th-century tavern and hotel where famous historical figures and everyday people dined and slept. Learn about the history, architecture, decorative arts, social customs, food, and clothing of a past era before departing for home. Note: There is some walking required on this tour! Please make sure you are an able walker before booking onto this trip. Wear comfortable walking shoes, (no heels). This trip is not suitable for people who have trouble with mobility! 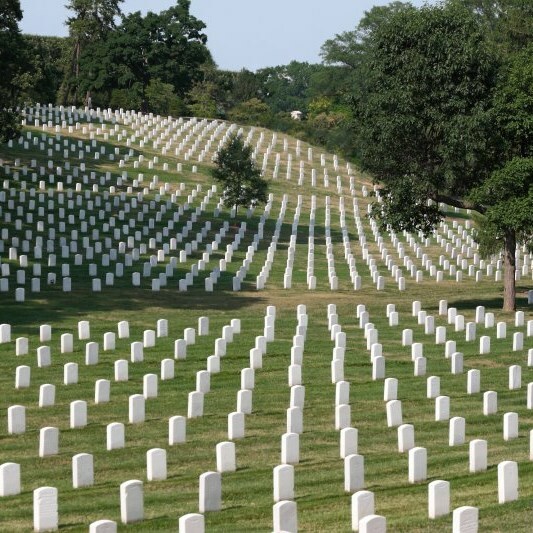 Today we travel to the wooded hills and hallowed grounds of Arlington National Cemetery. Our public tram tour of the cemetery will highlight our nation's history and remember the American patriots, both humble and well-known, whose final resting place is at this sacred space. 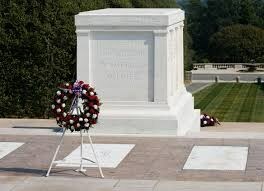 Your narrator will relate accounts of heroism and personal sacrifice as you ride to important sites, including the Kennedy Grave sites and the Tomb of the Unknowns (Changing of the Guard every 30-minutes). Next, we make the short drive to Gadsby's Tavern Restaurant in Old Town Alexandria, Virginia for our delicious lunch. 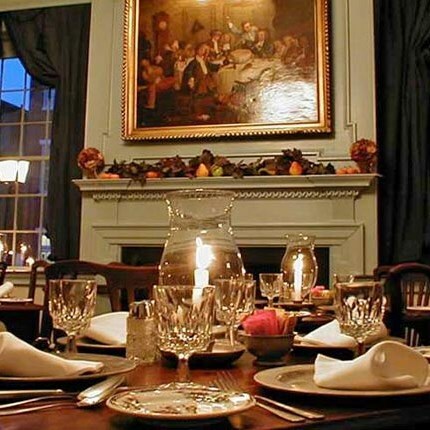 A U.S. National Historic Landmark, Gadsby's Tavern Restaurant has been offering fine dining since 1770. Please provide a meal choice when making your reservations. Your choices are Roast Beef, Chicken Fontina, Chesapeake Crab Cake or Butternut Squash Ravioli. Following lunch, we meet our guide for a tour of Gadsby's Tavern Museum. Take a moment to journey back to the 18th-century tavern and hotel where famous historical figures and everyday people dined and slept. Learn about the history, architecture, decorative arts, social customs, food, and clothing of a past era before departing for home. Note: There is some walking required on this tour! Please make sure you are an able walker before booking onto this trip. Wear comfortable walking shoes, (no heels). This trip is not suitable for people who have trouble with mobility!